Evolution Aqua's Eazy Pod is a low priced smaller version of the Nexus Eazy, the world’s number-one professional koi filtration system. The Eazy Pod COMPLETE mechanical and biological filter system for garden ponds up to 20,000 litres or koi ponds up to 10,000 litres(2200gallons)....The Eazy Pod filtration unit has been designed on the principles of high performance, minimum maintenance and a compact unit. 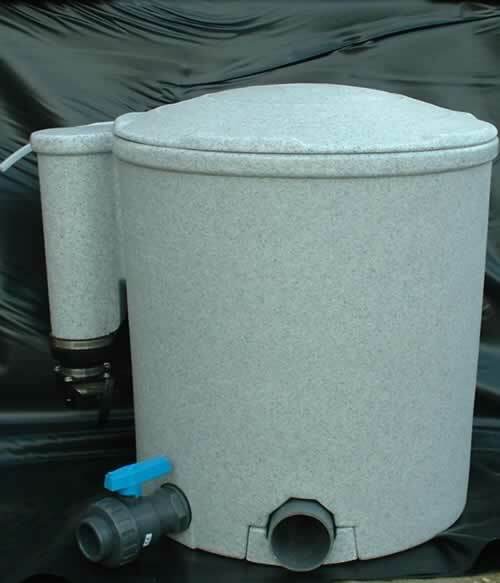 This design delivers optimum water quality by using Kaldnes K1 media (30 litres included). Very easy to install and operate. Comes complete with adjustable rubber connectors to fit all pipework up to 3".